Like MP3 and MIDI? Check out my Music page! High School: Independence H.S., San Jose, CA, 1978 (first graduating class). See also I.H.S. web page, and the I.H.S. Alumni page. Military: U.S. Navy, 1980 through 1986. Served on board the U.S.S. La Jolla (SSN 701) (also HERE), a fast-attack nuclear submarine, as a nuclear reactor operator. Received Honorable Discharge at the rank of ET1(SS) (E-6). 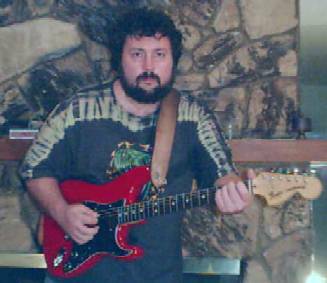 Music (I like Jazz and Rock&Roll) - see my Music page! (and someday I'd like to get a pilot's license, and my own aircraft). The Success of Supply-Side Economics - for more on that, go HERE. Flight and Rocketry. Some time ago I experimented with pepsi bottle water rocketry. I saw a video from South Africa where someone set a record height for a water rocket at 830 meters. That's impressive! Ranting. I like to rant. See my RANT page. There's a LOT to rant about these days. ©1996-2018 by Bob Frazier and Stewart~Frazier Tools, Inc.